Laminate floors come in a wide variety of patterns, textures, styles and colors. This popular flooring often has the look of a more expensive hardwood floor -- or other materials, such as marble -- at a price a budget-conscious homeowner will like. It is common to install a laminate floor in only a portion of a house, there may be locations where the laminate meets existing carpeting. To transition smoothly and attractively between a new laminate floor and carpet, install a carpet end cap between the two materials. Purchase a carpet end cap that matches the new laminate flooring. Cut the end cap using a saw to the correct length of the doorway that separates the laminate floor from the carpeted floor. Remove any carpet padding from the area where the end cap will be installed. Allow a 1/4-inch expansion joint between the track (central) portion of the end cap and the laminate floor. 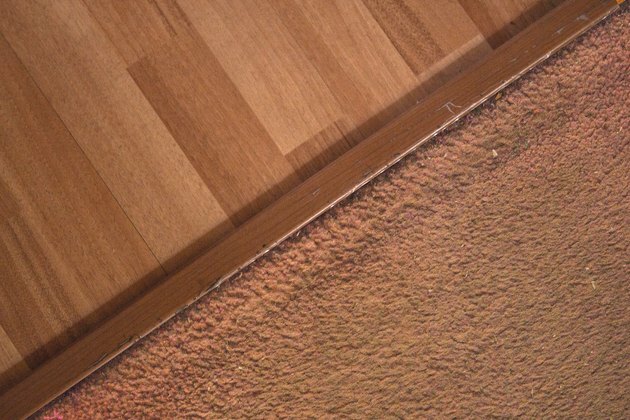 This gap allows the laminate floor to expand and contract while hidden beneath the end cap. Screw the end cap in position before you install your last piece of laminate. 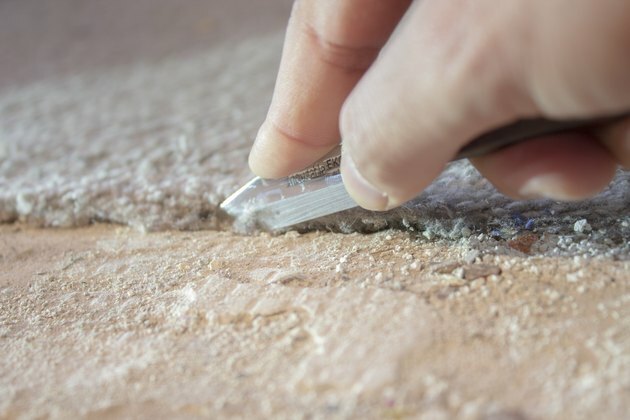 If you are installing over a concrete subfloor, use Liquid Nails adhesive and glue the end cap in place. 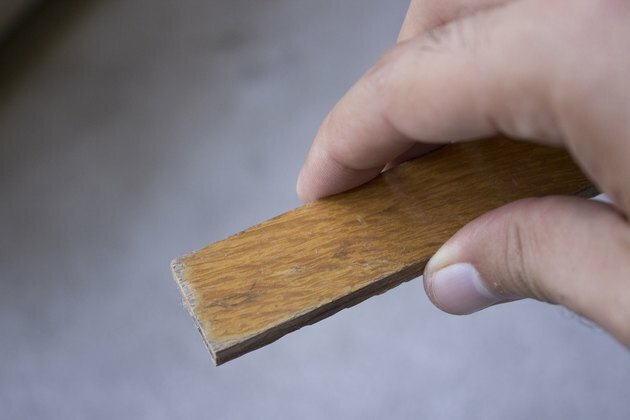 Slip your last piece of laminate under the edge of the laminate side of the end cap and pull the laminate piece back into position. The 1/4-inch gap should allow you to do this. Pull the carpet and foam back with your hand from the doorway. 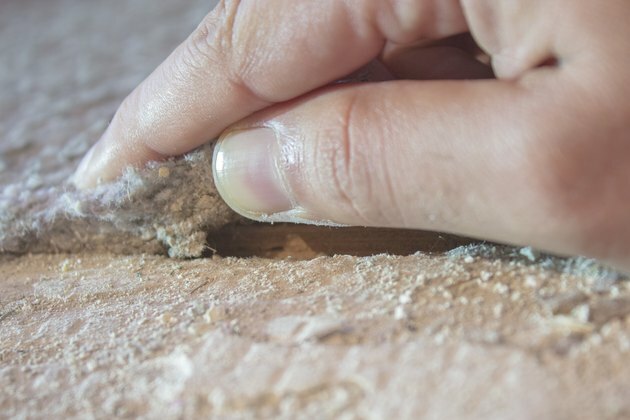 Nail a section of tack strip 1/8 inch from the end cap using a hammer. Use scissors and a utility knife to trim the foam to fit just inside the tack strip. Staple the foam down. 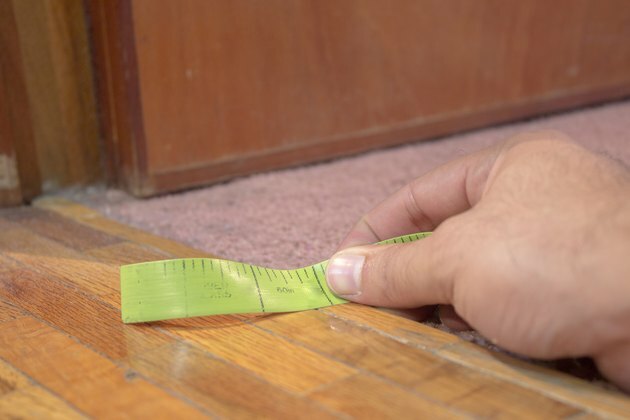 Trim the carpet so that it extends beyond the tack strip by 3/4 inch. Trim any carpet backing back to the tack strip. Pull the carpet toward the end cap and use the butter knife to press the carpet into the tack strip nails. 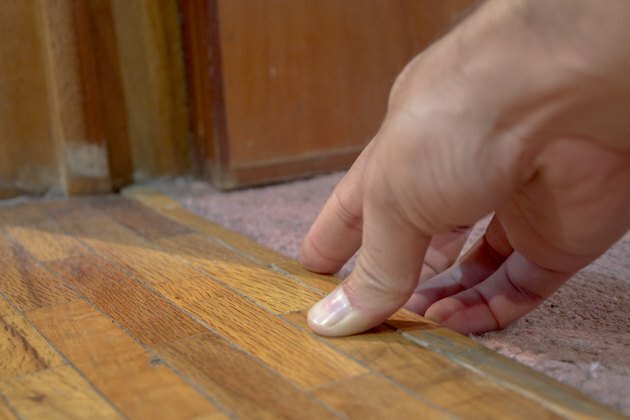 Press down all along the tack strip to ensure good contact between the carpet and the nails. 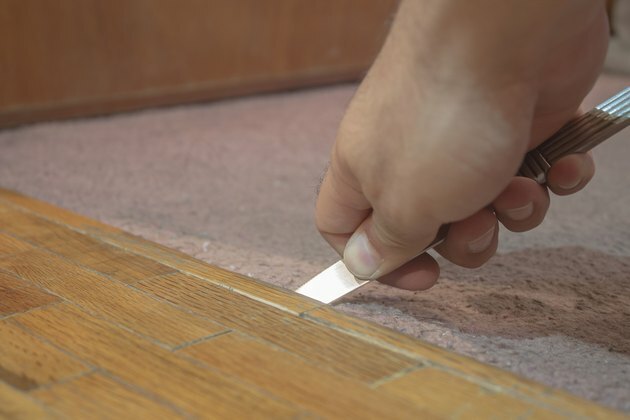 Add a bead of no-fray carpet glue along the thin edge of the remaining carpet (it should be about 3/4 inch long) and slide this carpet edge under the carpet end cap. You may need to use the butter knife to force the carpet between the tack strip and end cap and then under the end cap. What Is French Cap Carpet?